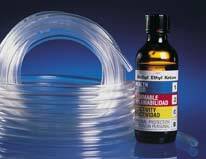 Our flexible, chemical-resistant tubing catalog offers one of the widest ranges of tubing type available. Select from industrial, laboratory and pharmaceutical grade tubings. All materials off good chemical compatibility. Not all materials are sutiable for use in peristaltic pumps. Available in two package sizes. Call for quantity discounts. 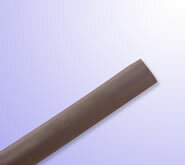 Viton®  Viton tubing is ideal in general purpose applications where a higher chemical resistance is required than that afforded by silicone. Can be used in peristaltic pumps. Ultra Chemical Resistant (Tygon® 2375)  Tygon 2375 supplies a strong combination of chemical resistance, clarity and flexibility. 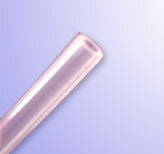 Inert (VersilonTM SE-200)  This flexible, extremely clear tube has an outstanding bend radius common to most Versilon tubes. However it also has an inert FEP liner which limits contamination of transfered fluids. Plasticizer Free (VersilonTM 2001)  This tube is designed to provide flexibility, chemical resistance and extended pump life in a clear, plasticizer/oil free package. High Purity (Tygon® 2475)  High purity tubing is ideal for handling sensitive fluids for pharmaceutical and biological applications.